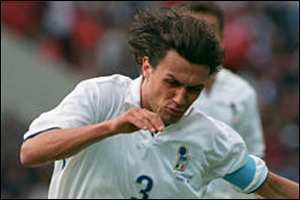 Here are some pictures of Maldini's career for the Azzurri. 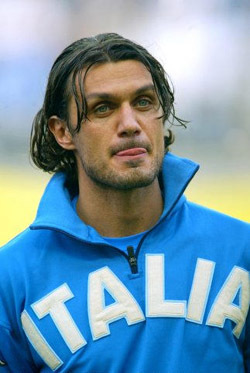 Paolo made his international debut in 1988 and spent over 16 years with the Azzurri which saw him capped 126, leaving him Italy's most capped player. He has also scored 7 goals for the Italian National team and all of those came in home games. 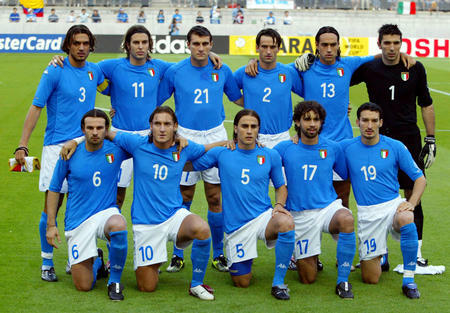 However he has never won any title in his 16 years with the azzurri. Grazie Paolo, the best captain ever!